Southend Operatic and Dramatic Society invite you to ‘Be Our Guests’ for our production of Disney's Beauty And The Beast. 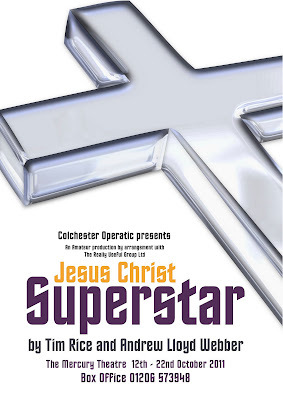 SODS are proud to present this eye-popping musical at the Cliffs Pavilion, Southend from the 16th-19th November 2011. This show is guaranteed to wow audiences of all ages with its stunning costumes and magical musical numbers and we would like to give you the opportunity to be swept away in this beautifully told ‘tale as old as time’. 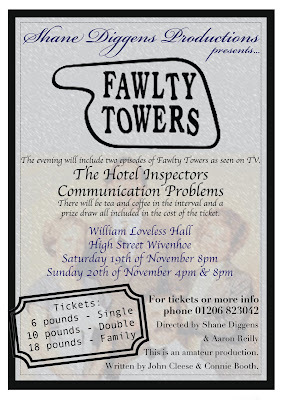 Please book early to avoid any disappointment. Due to personal reasons, Keith Goldsbrough, is unable to continue in the role of 'Lampwick'. Therefore any Member who wishes to audition for this Principle role needs to come up to the CMTS Hq on this coming Tuesday to learn the audition piece. We will then have auditions on the Thursday. If you would like anymore information, please contact Sam McCarthy, Pinocchio Production Chair ASAP. Thank You. Stamp Films are looking for a group of Women to take part in a exciting national TV campaign. This group will become the stars of a series of short films for a campaign depicting a group of real life friends preparing for a performance. They do not all have to be talented singers or dancers, but have a love of life and a passion for fun. We will help them put on a performance, singing and dancing guided by choreographers and singing coaches. We will be capturing the group in their real life situations as they practice for a big song and dance performance which will be the finale of the films. The group of Women we are looking for will have a good bond but all with strong individual characters. They could be amateur performers or ex-professionals looking for a big TV opportunity. Ideally aged between 30 and 50. Big characters but not necessarily actresses and real genuine people! If interested then please get in touch with Dan via email: d.dinnella@yahoo.com with an explanation about your group and why you would want this opportunity. 1. Front of House Programme and Raffle Ticket Sellers. Up to 8 required. 2. Hair and Make Up Assistant. 2 required to assist Chris Bareham, Hair & Make Up Artist. 3. Wardrobe Assistant. We have three people already to assist Gwen Porter, Wardrobe Mistress, but require one more. 4. Props Assistant. Three more required to assist Marian Cook, Props Mistress. 5. Stage Crew. We require another two people to work with John Cook, Stage Manager. If you or anyone you know would be interested in joining the Production Team, please contact Sam McCarthy, Pinocchio Production Committee Chair as soon as possible. Please also note that you do not need to be a Member to be part of a Production Team. Thank You! Changes to Pinocchio Rehearsal Schedule. 1930 - 'Masquerade' - Chorus, Dancers & Children plus Fox, Cat, Pinocchio, Lampwick & Stromboli. 2030 - 'Sea Cruise' - Mama Macaroni & Geppetto. 2100 - Set Dialogue Act 2 Sc 2 & 3 plus Revise Dialogue Act 2 Sc 1 - Jiminy Cricket, Blue Fairy, Mama Macaroni & Geppetto. 1930 - Set Act 2 Sc1 Dialogue plus Revise Muppet Theme Song - Chorus & Children. 2000 - Continue to set 'Masquerade' - Chorus, Dancers & Children plus Fox, Cat, Lampwick, Pinocchio & Stromboli. 2100 - Revise 'Hornpipe' - Dancers. 1930 - Run Act 1 - Company. 2130 - Revise 'Sea Cruise' - Mama Macaroni & Geppetto. Due to an issue with getting the score for the musical number 'Pleasure Island', the Production Team has decided to replace it with 'Masquerade' from Phantom of the Opera. Lyrics will be available at next Tuesdays Rehearsal. Act 2 - Sunday 4th December. If you have any queries with this, then please contact David Thompson, Director, or Sam McCarthy, Assistant Director. Thank You! A reminder to the Cast of 'Pinocchio'; the Show Fees are now overdue. It is £10 for Children & Students and £20 for Full Members. Please pay Julia Clarke, Membership Secretary, at the next suitable Rehearsal. Thank You. Just to remind Members that the closing date for the registration for the NODA Summer School 2013 sponsorship is Monday 31st October 2011. Help Needed With A Principle Character. Wivenhoe Gilbert and Sullivan Society are looking for a Gentleman to play the part of 'Sir Ruthven Murgatroyd' (Robin Oakapple) in their forthcoming Production of 'Ruddigore'. The Show will be performed in March 2012. If you, or anyone you know, would be interested, please contact Sam McCarthy, Chairman. Thanks. Congratulations to all those Members who were involved in the Youth Performers first Production; you were all fantastic! The next Youth Performers Production is going to be 'Bugsy Malone', which will be on in April 2012. Rehearsals for this start next Friday, hope to see you there! Only 7 days until the CMTS Youth Performers first show. It will be held at the CMTS Hq and the performance times are 1430 and 1630. Please support the newest Members of our Society Family! The Management Committee have voted and agreed that the Minute Secretary shall be Gillian Flynn and the HQ Manager will continue to be Colin Davies. The President will continue to be Edna Mountstephen and our Custodian Trustees are unchanged as Marian Cook, Edna Mountstephen, David Crowe, Steve Church, Bill Davies & Paul Shaw. 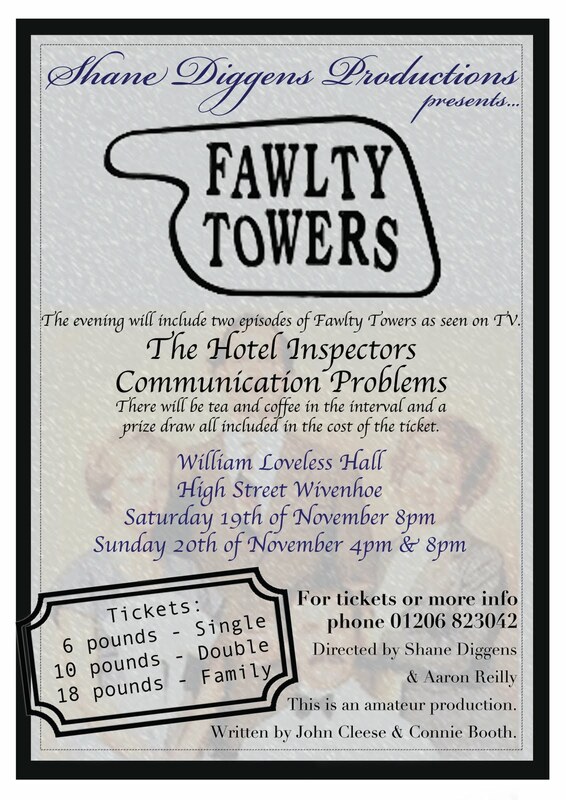 Tickets on the first night are from £13.00. A few Members have shown an interest in going. If you would like to join them please contact Sam McCarthy, by Friday 7th October. Thank You. Following last year's "Grapes of Wrath", Steve Liversedge is again appearing as part of the Community Theatre Group in a production with the pro. rep. at Mercury Theatre Colchester. This time it is his first foray into the illustrious Bard (legitimate at last!!) so if you would like to see him as a Bohemian sheep-shearer why not come along - It will be of the same high standard as "Grapes" even if Shakespeare isn't your bag! There are 18 performances as detailed below and as some of you know, the cast get a limited number of comps/concessions for certain performances (although we haven't been told yet as to which they will be) so if you would like tickets, get in touch with Steve.